Gaion – a flexible theme for Sport Accessories Shop WordPress site! To start the March, WPThemeGo brings you a flexible and sporty theme for sport accessories shop WordPress site - Gaion. 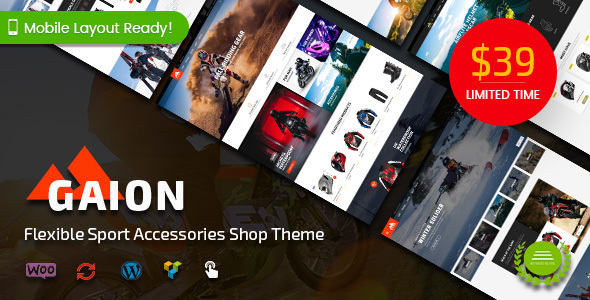 Gaion is a professional WordPress theme specially designed for any online market especially the one selling sport accessories, protective gear, powersports, safety equipments, cruisers, helmets, sport moto, motocycle, bike club or auto partsand more. With multi-homepages, mobile layout ready, multi vendor support & lots of hot ecommerce features, this will be a great choice for any sport store or marketplacewebsite. ✔️ One Click Installation: Import the demo of design you want to have your site just like demo with few steps. Let's experience the Gaion demo and enjoy its features now! 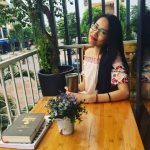 Find our best 15+ free and premium WordPress theme here. Find 25+ best selling WordPress themes on Themeforest here.